Path of total solar eclipse , 1406 BC just days after sun and moon stood still. 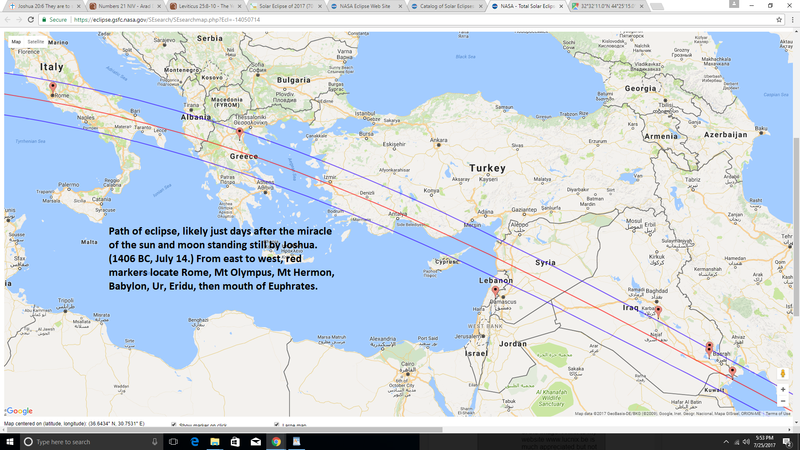 Path of total solar eclipse likely just days after the miracle of the sun and moon standing still by Joshua. 1406 BC, July 14. From east to west, red markers locate Rome, Mt Olympus, Mt Hermon, Babylon, Ur, Eridu, then mouth of Euphrates.